3.Work with Amazon Alexa, echo, echo dot, google home, google assistant and google mini. Search for the eFamilyCloud APP on the App store or google play, you can also scan the QR code in your User Manual provided. Connect method1: Press the button for 6 seconds until the indicator light flash quickly then open eFamilyCloud APP to connect. Following the steps of User Manual. Connect method2: Press the button for 5 seconds again until the indicator light flash slowly, open APP, after the steps of ADD devices then choose AP mode, confirm the indicator light slowly blink. Following the steps of APP. 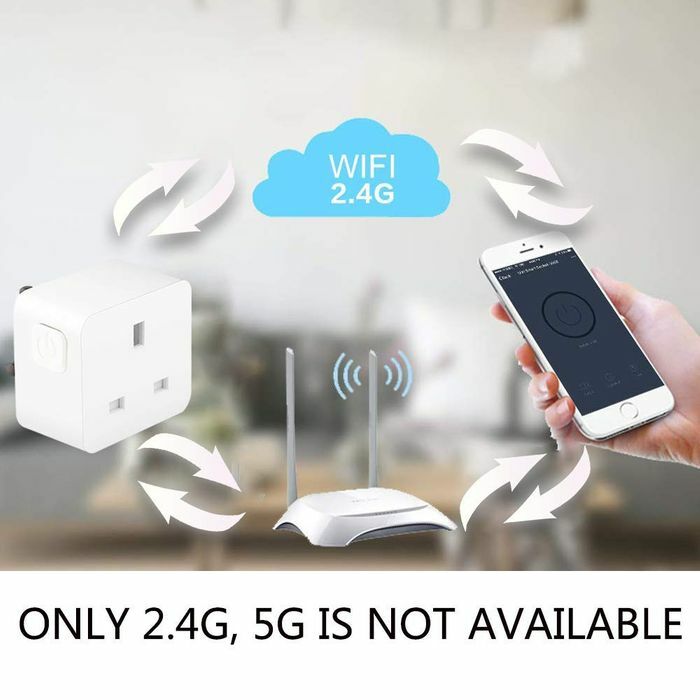 Only support 2.4GHZ WiFi network, 5GHZ is not available. No hub required if you are using BT router and failed to connect, you need to reset the router, you can also consult our technical support. Share with family you could share the smart plug with your friends and family by adding device sharing. Group Control you could control more than 2 smart devices by create group.